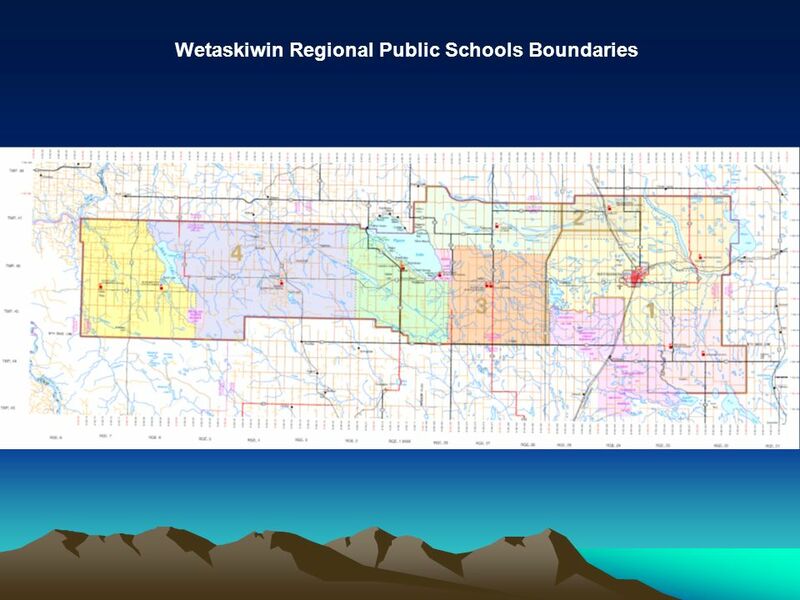 5 Albertas Commission on Learning ( Every Child Learns. 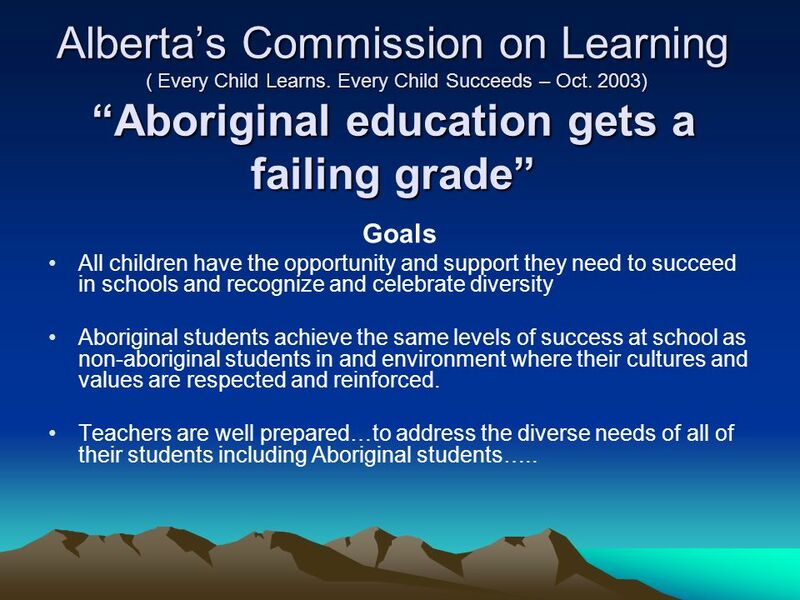 Every Child Succeeds – Oct. 2003) Aboriginal education gets a failing grade Goals All children have the opportunity and support they need to succeed in schools and recognize and celebrate diversity Aboriginal students achieve the same levels of success at school as non-aboriginal students in and environment where their cultures and values are respected and reinforced. 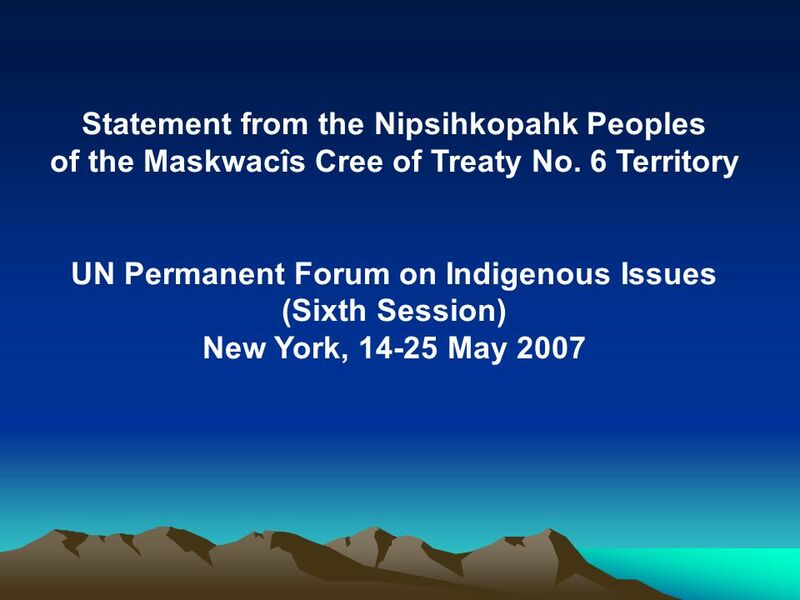 Teachers are well prepared…to address the diverse needs of all of their students including Aboriginal students…..
7 Madam Chairperson, the frustrations of our Peoples is evident from the huge gap between the successful completion of secondary school of our Indigenous students and mainstream societys students. 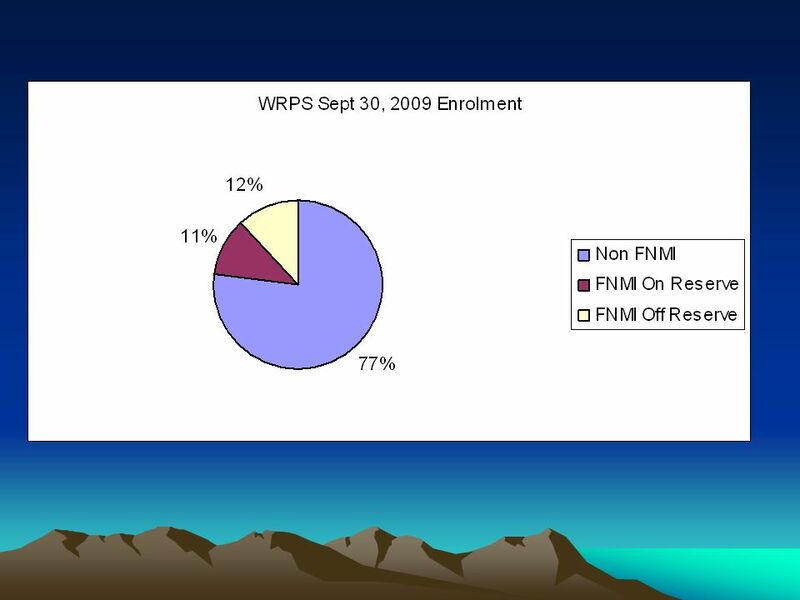 Literacy levels are extremely low; our students in public schools are often placed in special education classes and labeled. 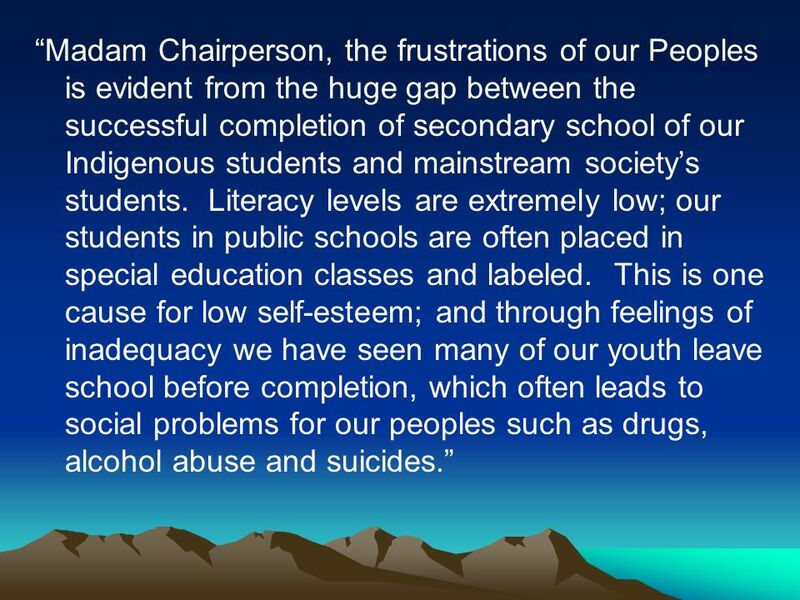 This is one cause for low self-esteem; and through feelings of inadequacy we have seen many of our youth leave school before completion, which often leads to social problems for our peoples such as drugs, alcohol abuse and suicides. 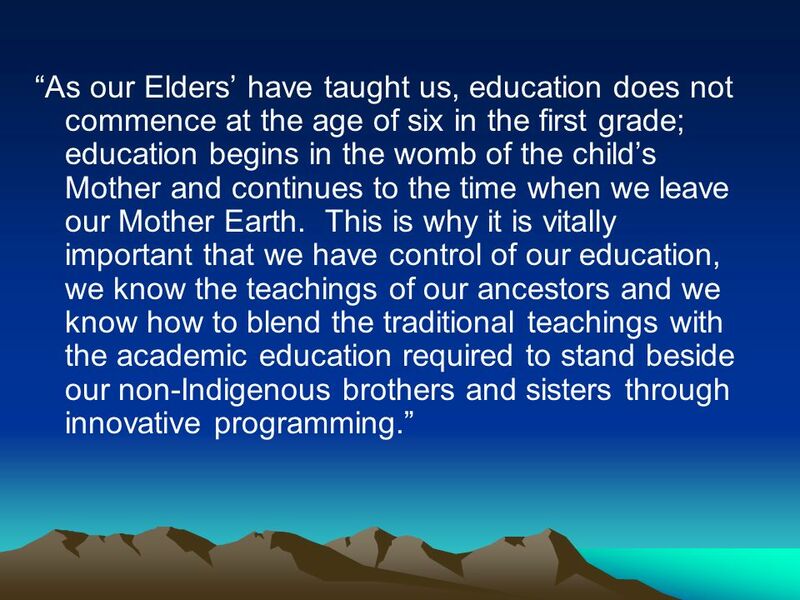 8 As our Elders have taught us, education does not commence at the age of six in the first grade; education begins in the womb of the childs Mother and continues to the time when we leave our Mother Earth. 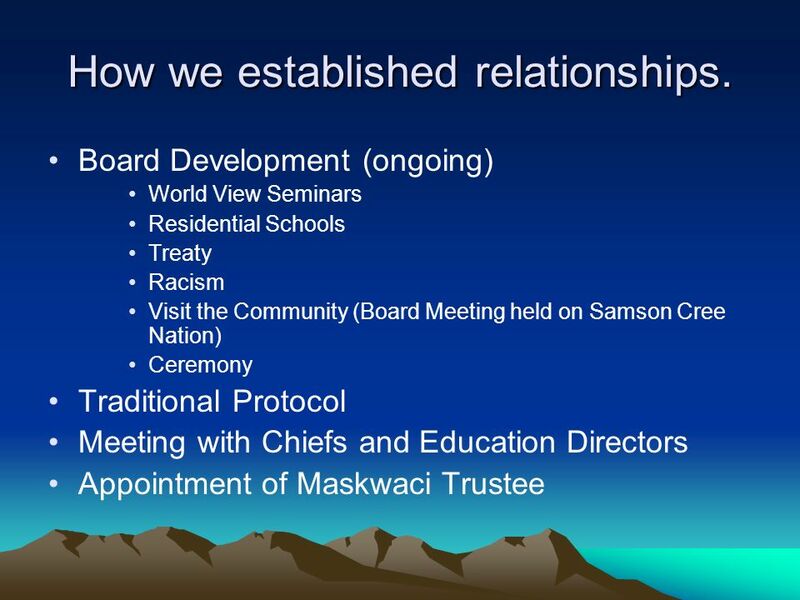 This is why it is vitally important that we have control of our education, we know the teachings of our ancestors and we know how to blend the traditional teachings with the academic education required to stand beside our non-Indigenous brothers and sisters through innovative programming. 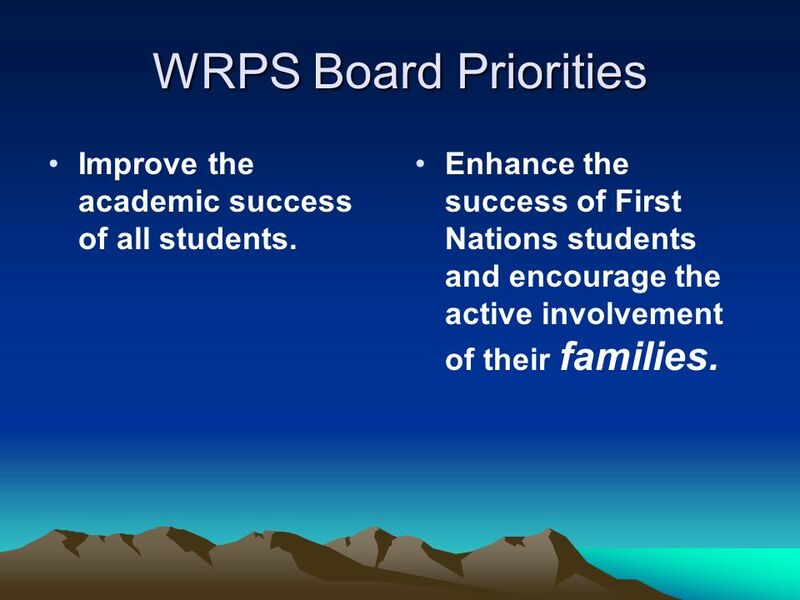 11 WRPS Board Priorities Improve the academic success of all students. 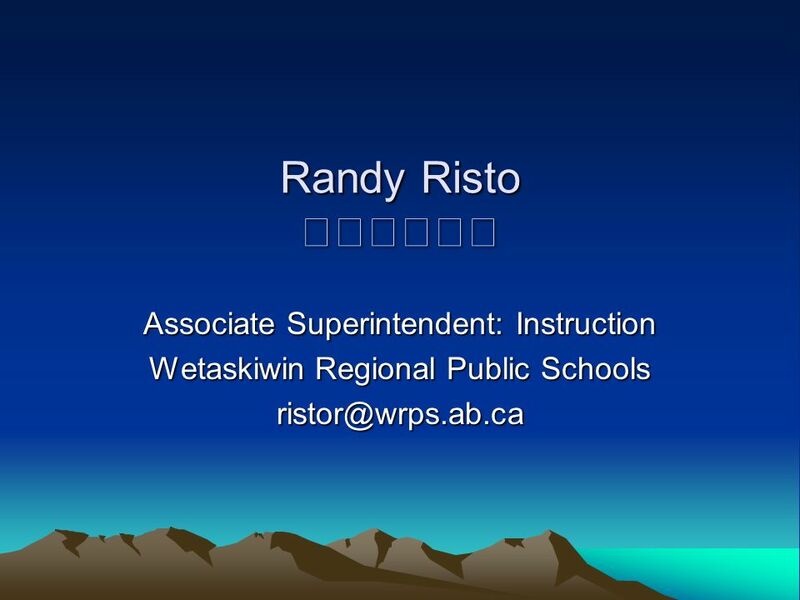 Enhance the success of First Nations students and encourage the active involvement of their families. 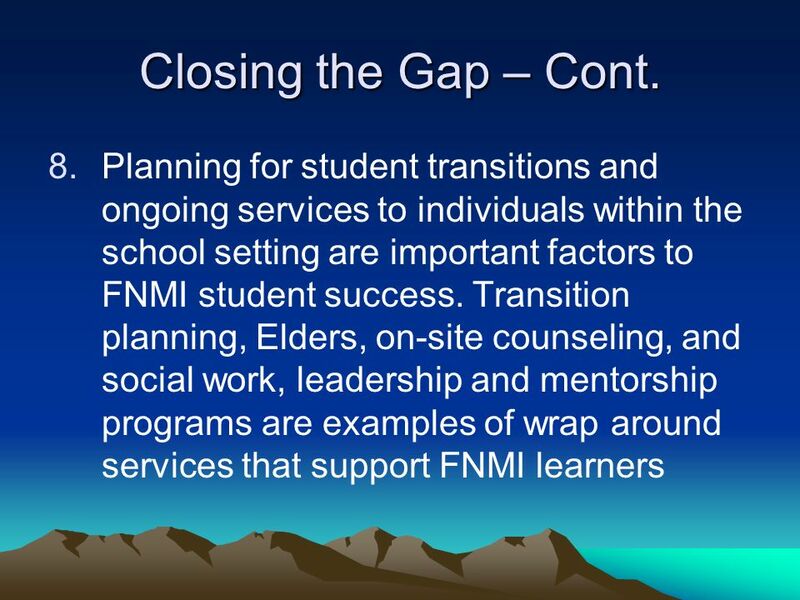 15 Closing the Gap – Cont. 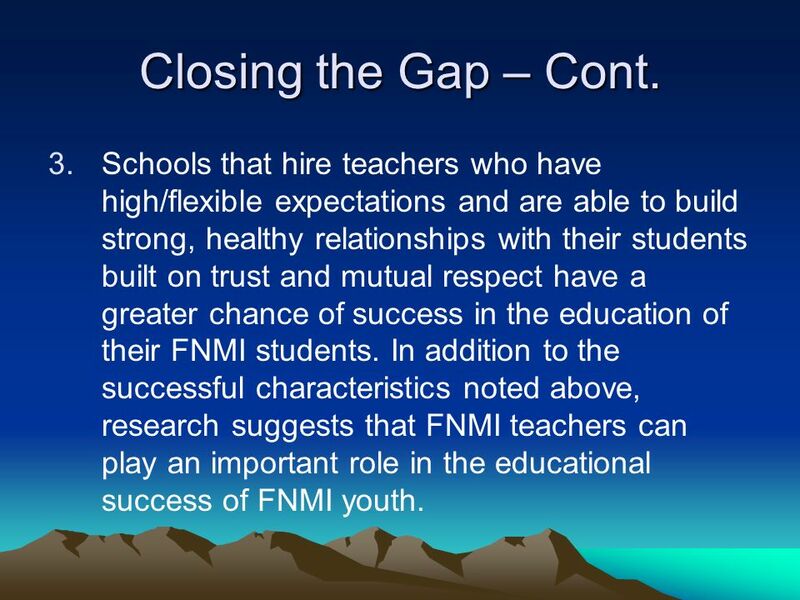 3.Schools that hire teachers who have high/flexible expectations and are able to build strong, healthy relationships with their students built on trust and mutual respect have a greater chance of success in the education of their FNMI students. 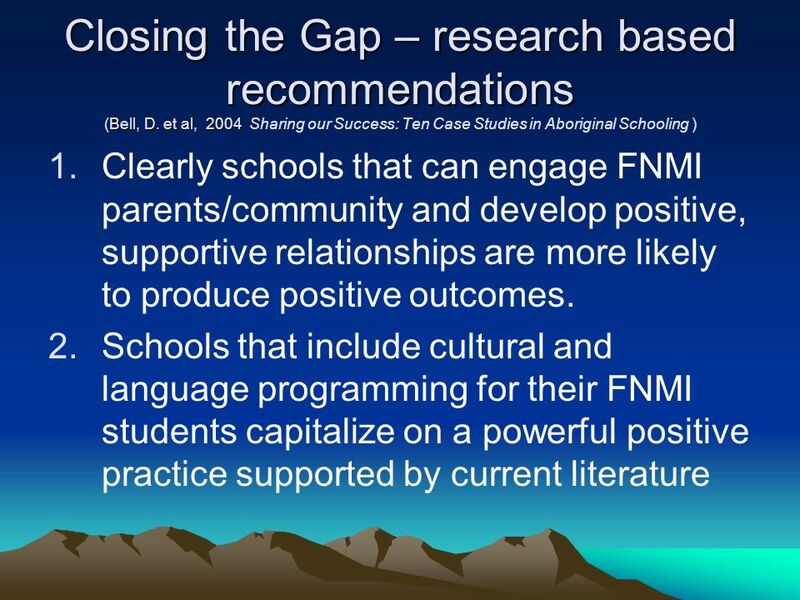 In addition to the successful characteristics noted above, research suggests that FNMI teachers can play an important role in the educational success of FNMI youth. 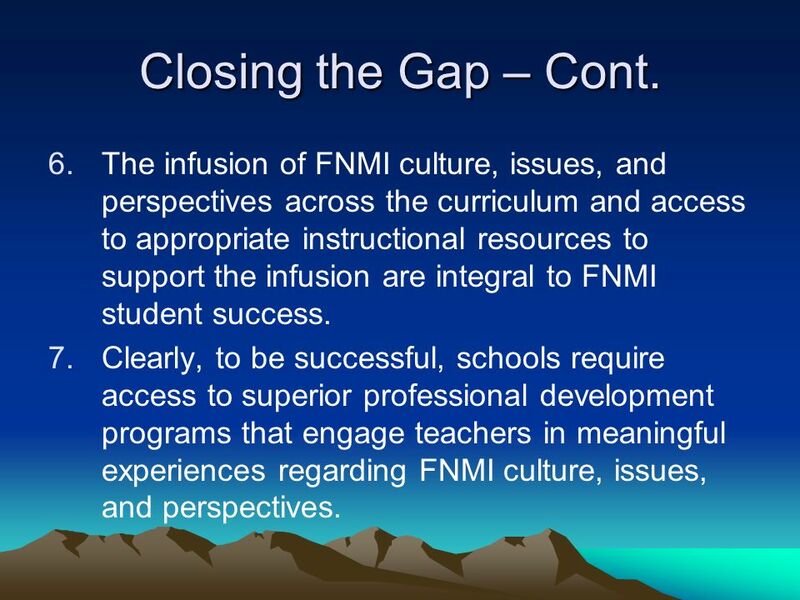 16 Closing the Gap – Cont. 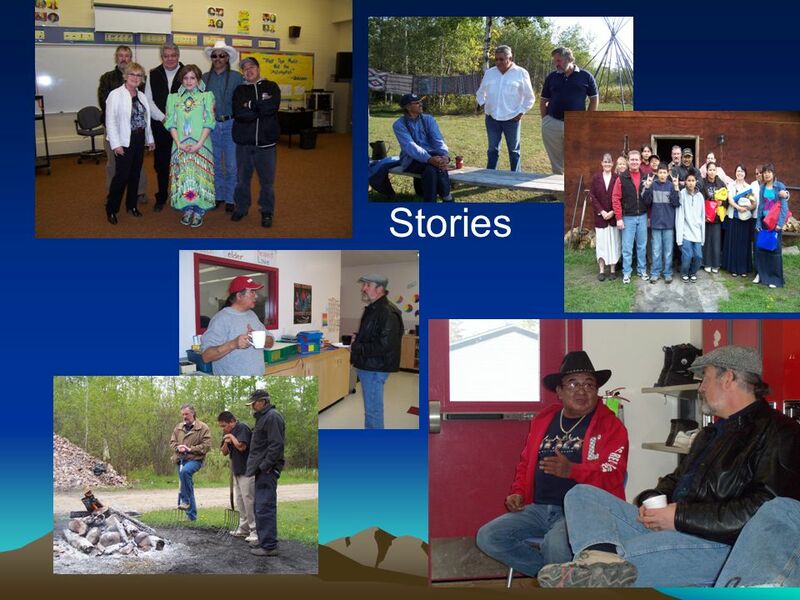 4.Classrooms that have culturally relevant materials, are informal in nature, encourage cooperative learning/group work, support open-ended questioning, inductive/analytic reasoning and student participation, produce positive results for FNMI learners. 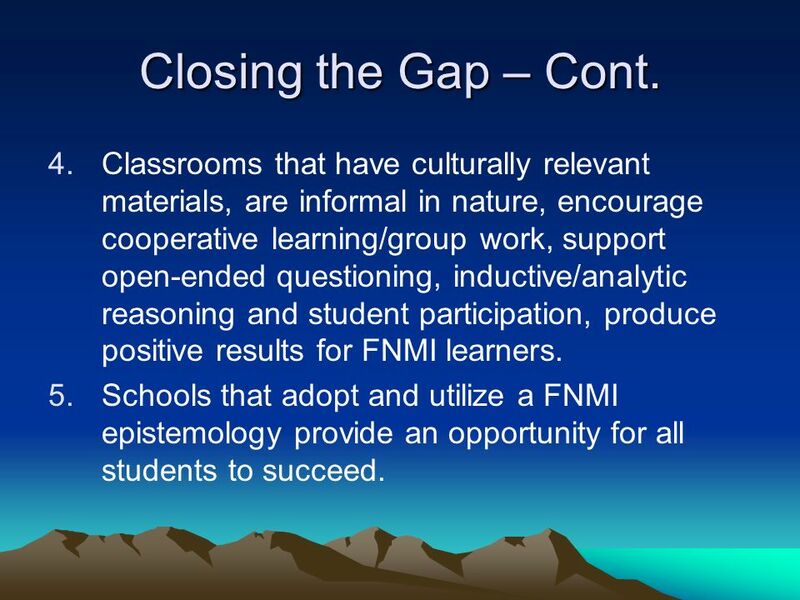 5.Schools that adopt and utilize a FNMI epistemology provide an opportunity for all students to succeed. 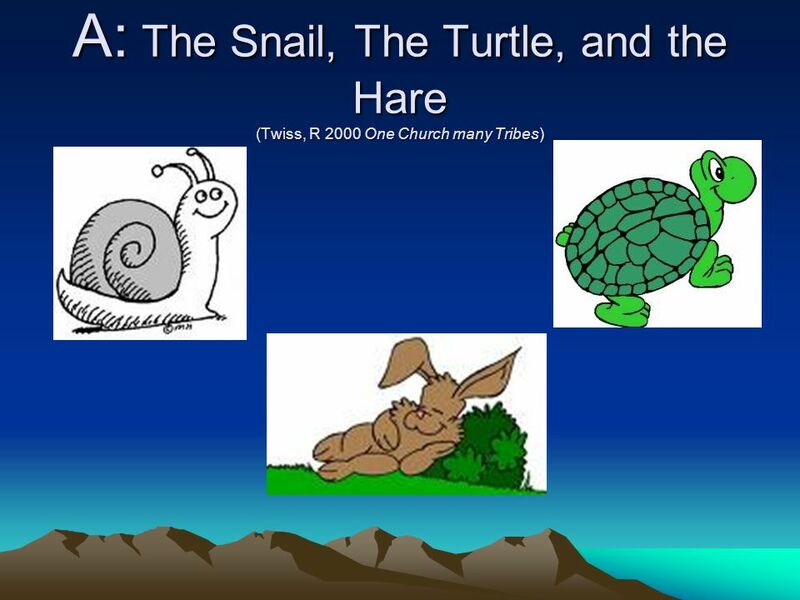 17 Closing the Gap – Cont. 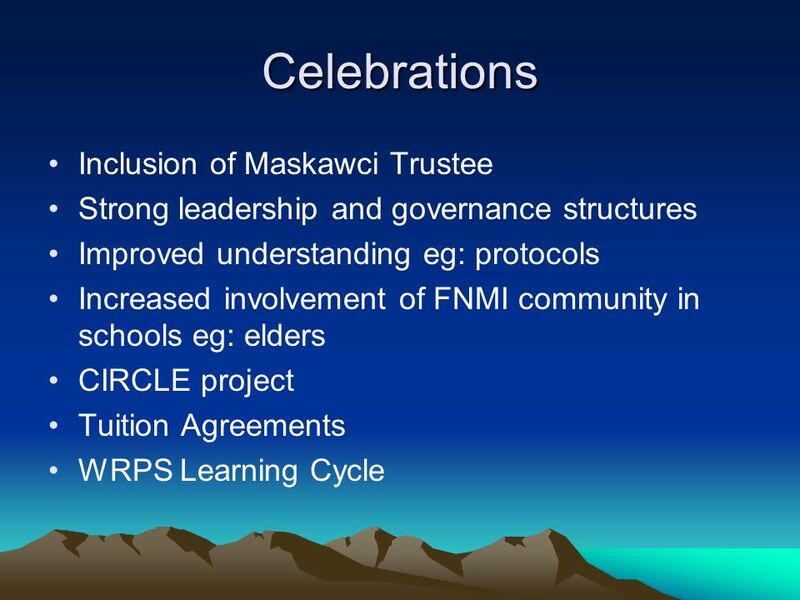 6.The infusion of FNMI culture, issues, and perspectives across the curriculum and access to appropriate instructional resources to support the infusion are integral to FNMI student success. 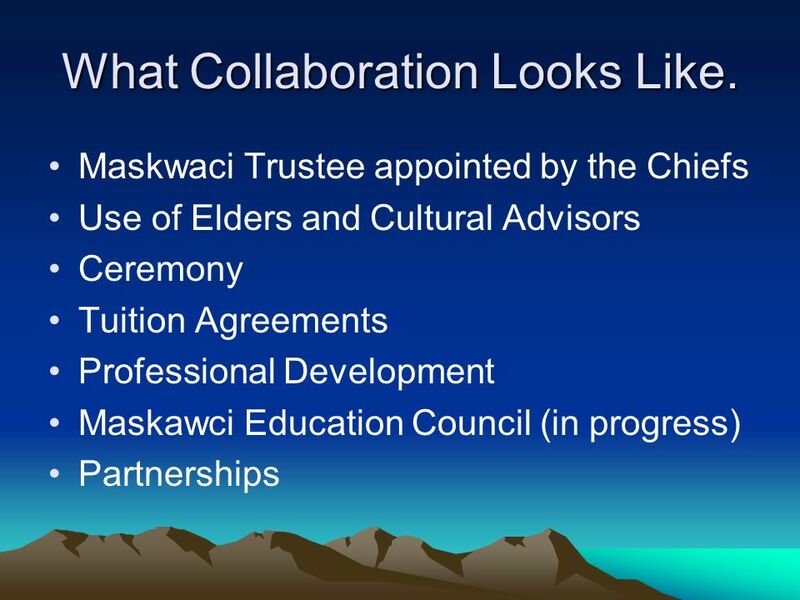 7.Clearly, to be successful, schools require access to superior professional development programs that engage teachers in meaningful experiences regarding FNMI culture, issues, and perspectives. 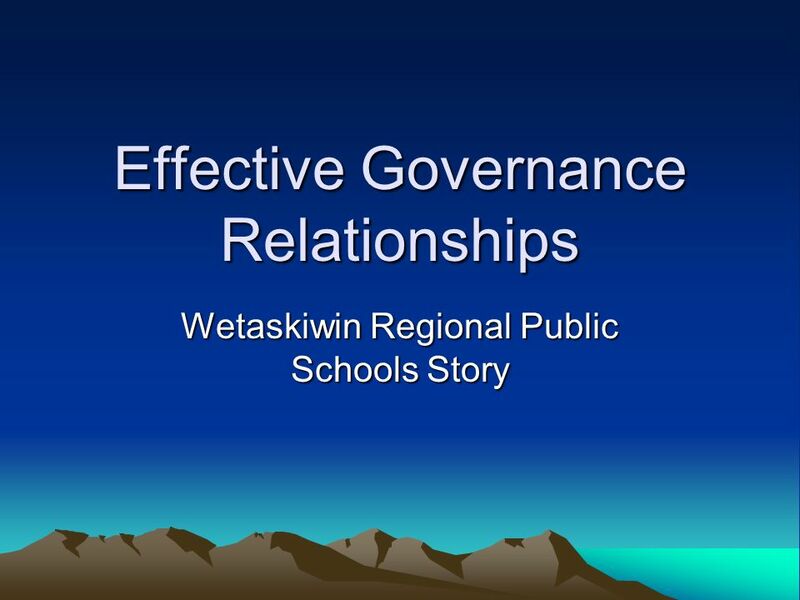 Download ppt "Effective Governance Relationships Wetaskiwin Regional Public Schools Story." Hart. 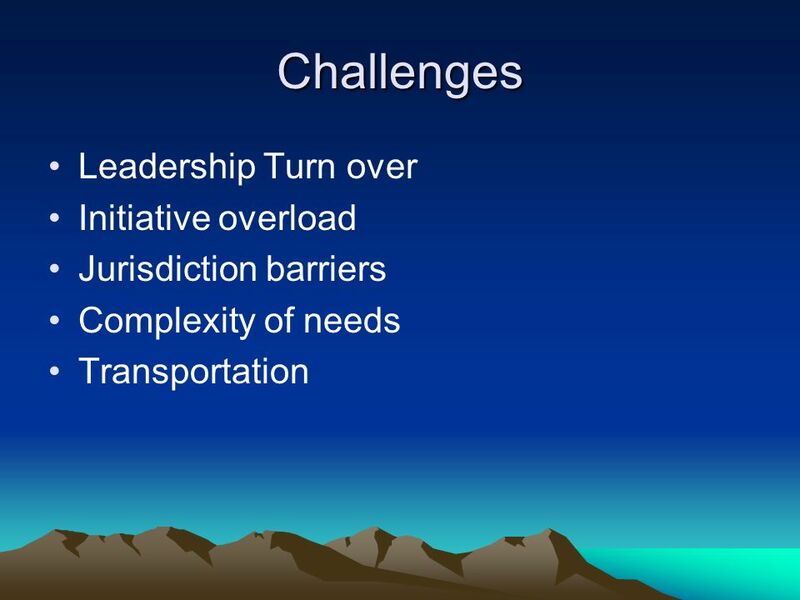 Interagency Coordination and Management of Supports College/Career Connection Debra Hart University of Massachusetts, Boston. School Support Officers Conference 21 September 2006 Learn Lead Support Grow Wollongong Golf Club. 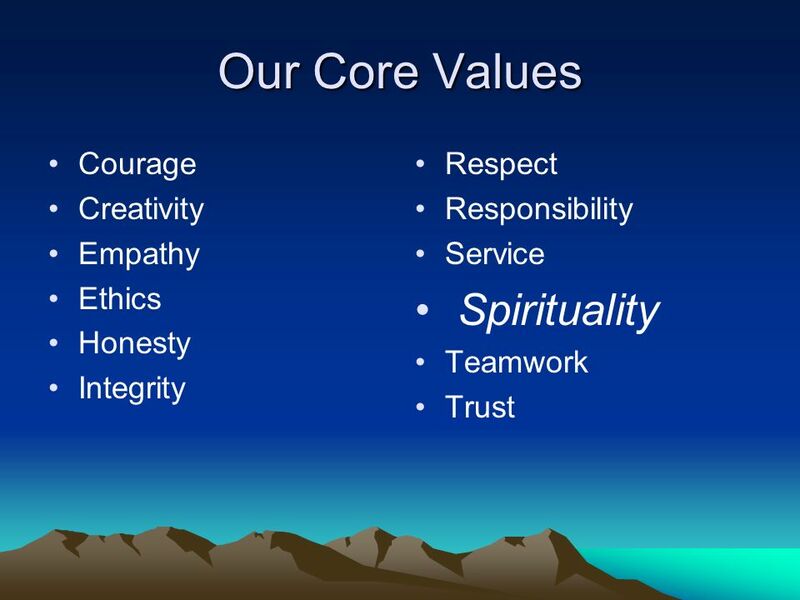 Putting It All Together SWPBS and Character Development Katherine Pace, Character Development Coordinator Dr. Barzanna White, System Psychologist, Character.